A bunch of people who like to scream, "We Are!" 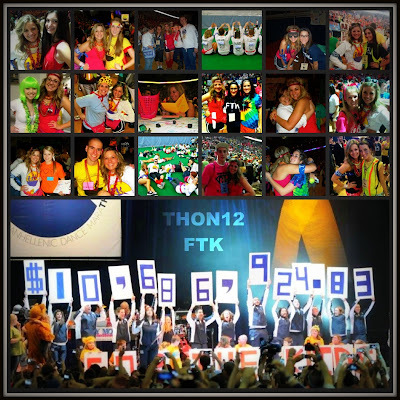 ...It is a community that I am proud to be a part of that is over 10.6 million steps closer to curing pediatric cancer. Thanks to my sister, the other 700+ dancers, all volunteers, participants, beneficiaries, and families, Penn State has proven once more that We Are....A family. A community. Able to overcome struggles. Always F.T.K.